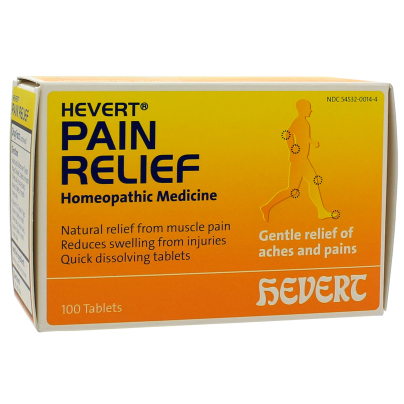 Hevert Pain Relief contains a proven combination of carefully selected homeopathic active substances working effectively – naturally. Hevert Pain Relief provides temporary relief of muscle pain and stiffness. It reduces bruising and minor swelling due to injuries and overexertion (e.g., sports injury, dental surgery). This homeopathic medicine is also suitable for children (aged 6 years and older). Easy to take – the tablets dissolve in your mouth.